Parents, grandparents and other family members seeking to assist other family members (often children and grandchildren) with the high cost of college education will commonly turn to Education Savings Accounts to put away money for this purpose. These accounts are often referred to as “529 accounts”, which is a reference to the section of the Internal Revenue Code that authorizes these tax-advantaged accounts. When properly established, 529 accounts grow on a tax-deferred basis (like an IRA), but also can be withdrawn tax-free when used for certain designated education expenses. The person who creates and funds the account is considered to be the owner of the account and can even change the designated beneficiary. Until this year there was an ambiguity in the law as to what effect the ownership of a 529 account would have on establishing eligibility for Med-Cal long term care benefits. Fortunately, a new law, Assembly Bill 1785, which went into effect this month clarifies the ambiguity by stating that the interest and principal of 529 accounts are exempt for Medi-Cal long term care eligibility purposes. Why is this significant? To qualify for Medi-Cal long term care benefits which can save clients thousands of dollars each month if they are confined to a skilled nursing facility, they must meet strict asset limitations. For an unmarried person, that limit is $2,000 of non-exempt or “countable” assets. Fortunately, not all assets are countable. Ellen, age 76 and widowed, owns a home worth $550,000. She also has IRAs worth $800,000 which includes part of her late husband’s IRA which she rolled over into her name when he died. Each month, she gets Social Security and CalPers pension benefits of about $3,600 which she uses to meet her monthly expenses. Eight years ago, Ellen set up 529 accounts for her two grandchildren and each year since, she has added $5,000 into each account. Currently, these 529 accounts have a combined balance of over $80,000. A few months age, Ellen had a stroke that left her mostly paralyzed on one side requiring her to need care indefinitely in a nursing home. Her benefits under Medicare have run out. 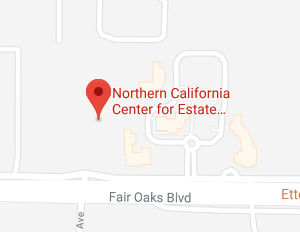 The cost of the nursing home is about $9,000 per month but to qualify for Medi-Cal long term care benefits, Ellen is only allowed to have $2,000 of countable assets. A quick look at Ellen’s assets shows that they total over $1.43 million. However, under the new law, she can qualify for Medi-Cal long term care benefits. How is this possible? Ellen’s “countable” assets are less than $2,000. Let’s take a closer look. a home of any value is exempt, and, thus, her house will not disqualify Ellen from receiving Medi-Cal. An IRA of any value also is exempt if the owner is taking Required Minimum Distributions (RMDs) from them. Since Ellen is 76 and must take her RMD’s, the balance of the IRA is exempt. Ellen has a small checking account that receives her social security, pension and RMDs, but the money is spent on her care as soon as it is received leaving less than $2,000 in the account. So far, Ellen is looking as if she will qualify for Medi-Cal, even though she has over $1.43 million worth of assets. However, let’s not forget that she also has the 529 accounts that she set up for her grandchildren with over $80,000 in them. Ellen is the owner of each of the 529 accounts. Prior to 2019, those accounts would have disqualified Ellen from receiving Medi-Cal benefits. However, with the new law becoming law as of January 1, 2019, the 529 accounts are treated as exempt assets and will not disqualify Ellen from receiving Medi-Cal. This means that Ellen will be able to qualify for Medi-Cal. In reality, many persons who would otherwise qualify for Medi-Cal long term care benefits never even apply for them because they think or were told by misinformed persons that they had “too much money”. Others who do apply for Medi-Cal have their applications denied because they don’t take advantage of the planning opportunities that exist to qualify for these vital benefits. It is for these reasons that it is always wise to work with an experienced and qualified elder law attorney who knows and understands Medi-Cal’s dense jungle of rules. Our firm regularly assists folks such as Ellen to qualify for Medi-Cal long term care benefits and preserve their hard earned assets. Considering a “529” College Savings Plan?